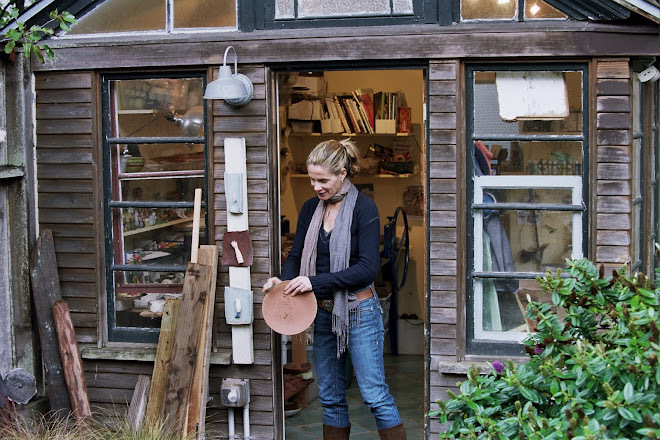 As some of you may know, prior to becoming a full time ceramicist, I worked in community development, focusing on issues of homelessness in families and individuals in New York City and in San Francisco. My work took me to all corners of those cities- and enabled me to meet many different people, who I would not have otherwise had the opportunity to interact with. It was a rich and complex experience, and I learned a lot about the politics of homelessness and how disenfranchised communities remain so. I have looked for ways to bridge what I am doing now with ceramics to benefit many of the wonderful non profit organizations that work tirelessly supporting these folks that no one else can or will. I always donate a percentage of my annual proceeds to community groups but this year wanted to take it to the next step. I am often asked to donate work to auctions that groups have and hesitate because often they do not bring in nearly their worth and this leaves valuable donation money on the table. I am an avid listener to publicly supported radio stations like KQED and KPOO here in San Francisco. They rely heavily on listener donations and offer multiple perks to give. It is a good strategy as it incentivizes people to give if they feel like they are also getting something tangible in return. I thought that maybe a more targeted donation of product would be a better way to support these groups than the traditional auction route. I had become interested in the work of the Prison Radio Project- first hearing the powerful recordings on KPOO radio. They offer a voice to incarcerated individuals who simply can call in and record a message that is broadcasted on various radio stations around the country. No matter what your views on prison, or prisoners rights, offering a voice to those in prison who have lost theirs, is a powerful part of rehabilitation. If they feel as though they are being heard, they can begin a road to renewal and entry back into society. No one else is doing this work and they are very small and always in need of financial support. I offered to create a set of plates for them to use as an incentive to give--that reflect my own interpretation of the work that they are doing. Please visit their website here to learn more about their work and if you are interested, making a donation and getting these special edition plates. You can also order them directly from me and 100% of the proceeds will go the Prison Radio Project. I am hoping to build on this more directed donation concept with some other groups and also hoping to get other artists involved. If you are an artist interested in working with me to enhance the donation value of your work in your community-please get in touch here.